Argentina left-back Nicolas Tagliafico accepts the national team simply do not know how to make the most of Barcelona star Lionel Messi. At club level, Messi has been arguably the most consistently brilliant player in the world for more than a decade, while many regard him as the greatest of all time having scored at least 25 goals in every LaLiga season since the 2009-10 campaign and won every competition possible with Barcelona. 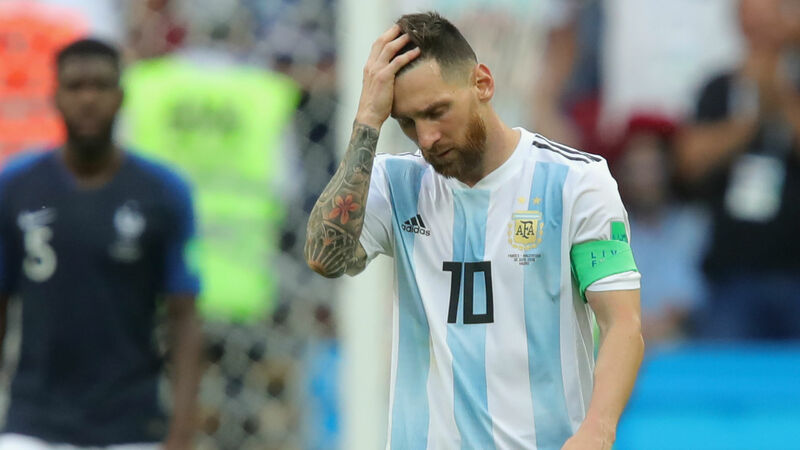 Although Messi is Argentina's record goalscorer with 65 and just 20 appearances shy of being their most-capped player, many feel his international career has been underwhelming, particularly after the disappointment of the 2018 World Cup when Argentina exited to France in the last 16. "It's not the same to be in a club for 15 years knowing everything. In the national team, either because of the change of president, coach or because of the passion we have that blinds us, we are not able to put together projects every year. That's not easy.